Foggy Bottom evokes images of spies (the State Department), crooks (Watergate) and hazy, mist shrouded shorelines (fog from the river and smoke from long-gone factories). Today, Foggy Bottom is just a typical D.C. neighborhood – if typical means historic landmarks, great cafes and theaters and lots of famous office buildings. Foggy Bottom has a lot going on for what is really a residential and government office neighborhood. There's the beautiful waterfront along the Potomac River. There's the paths leading into the huge Rock Creek Park. And the centerpiece of the neighborhood is truly the Kennedy Center for the Performing Arts. 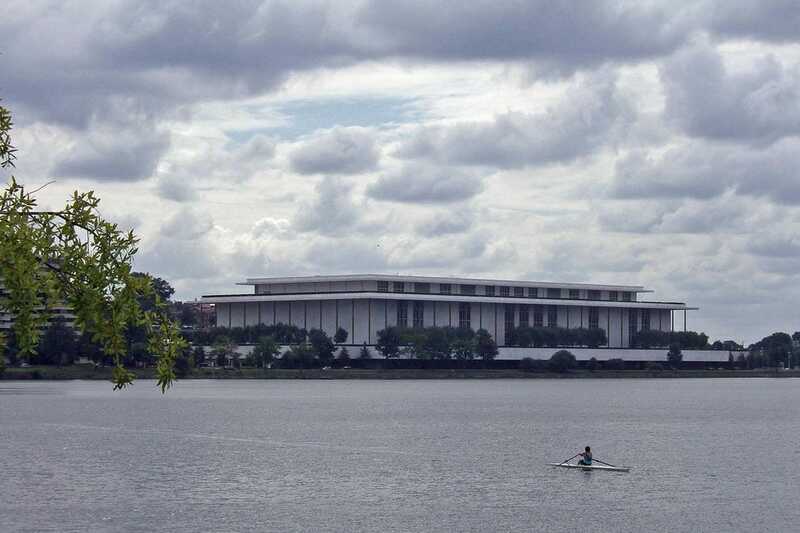 A world-class concert hall and theater, the Kennedy Center has multiple theaters and stages, public art exhibits and more. Foggy Bottom is home to lots of D.C. residents. It's also home to thousands of government workers at the massive Department of Statesand other nearby office buildings. And all those folks have to eat somewhere, so Foggy Bottom has no shortage of restaurants, bistros, cafes and diners. Two stand out – the incredible Blue Duck Tavern and the famed Founding Farmers. Both should be at the top of your dining list. Foggy Bottom plays host to thousands of visitors every day – business people in town for meetings at the many government and agency offices in the community, envoys and representatives from nations around the globe – thus there are plenty of options when it comes to hotel rooms. The list is nearly endless and tourists can find luxurious lodging such as the Melrose Hotel or more budget friendly options like the Doubletree Guest Suites. With lots of residents in high-end homes and condos and plenty of business travelers staying in Foggy Bottom, many of the stores in the neighborhood tend to skew to the well-heeled. Lorenzo, next to the Four Seasons Hotel, offers designer Italian clothing such as suits, ties and shoes from the top names in fashion. There are also a number of jewelry stores in Foggy Bottom, offering luxurious gemstones and the like.